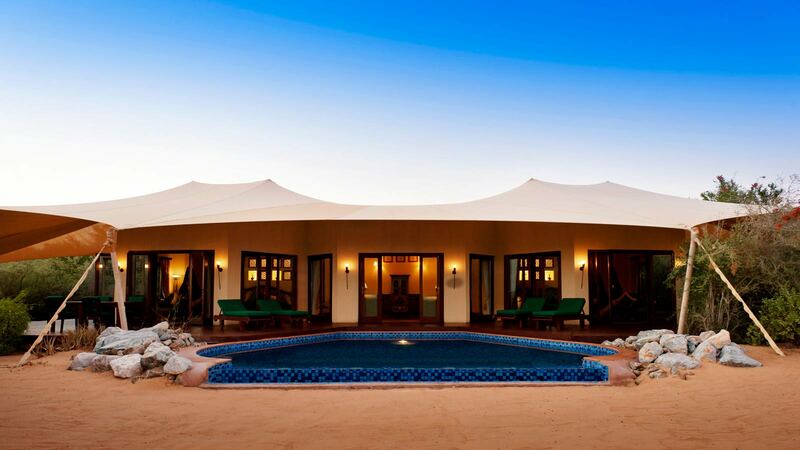 Today (August 20th, 2014): Hotel review: Al Maha Desert Resort & Spa, an Arabian oasis near Dubai (UAE). 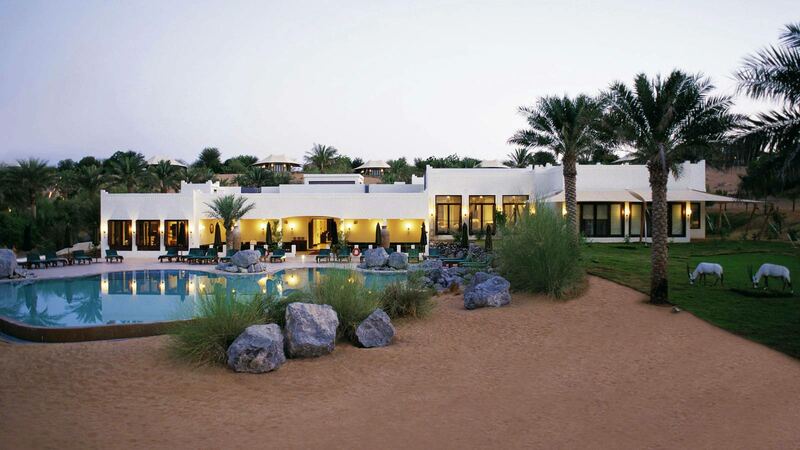 Al Maha Desert Resort & Spa, part of The Luxury Collection by Starwood Hotels, is nestled in a verdant palm oasis, deep within Dubai’s magical dune and desert landscape. 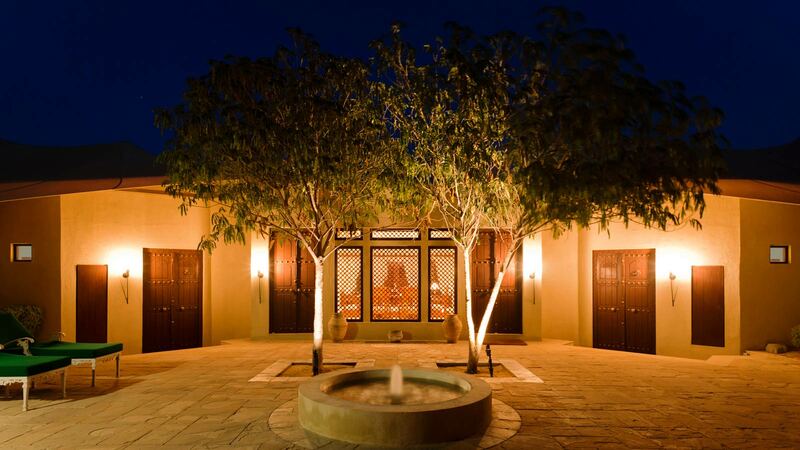 The resort showcases the heritage and architecture of the Bedouins, while also offering a sense of desert adventure, with matchless hospitality in unparalleled comfort. 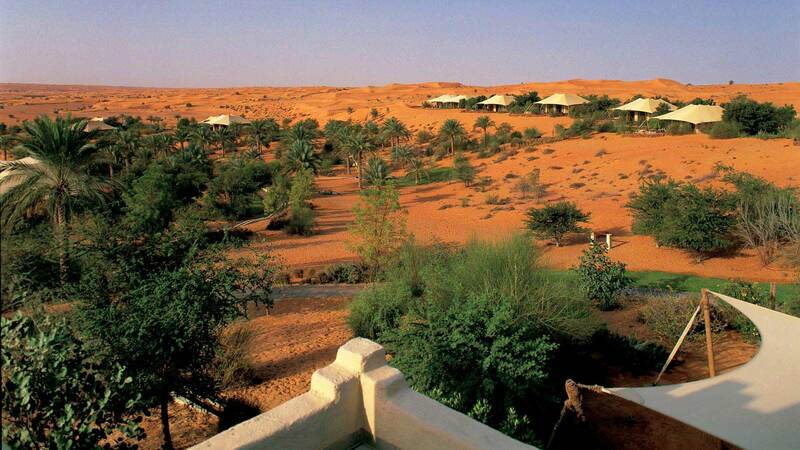 Al Maha Desert Resort & Spa features in my top 10 lists of hotel rooms with the world’s best views, the world’s most luxurious glamping sites, the world’s most luxurious desert retreats. 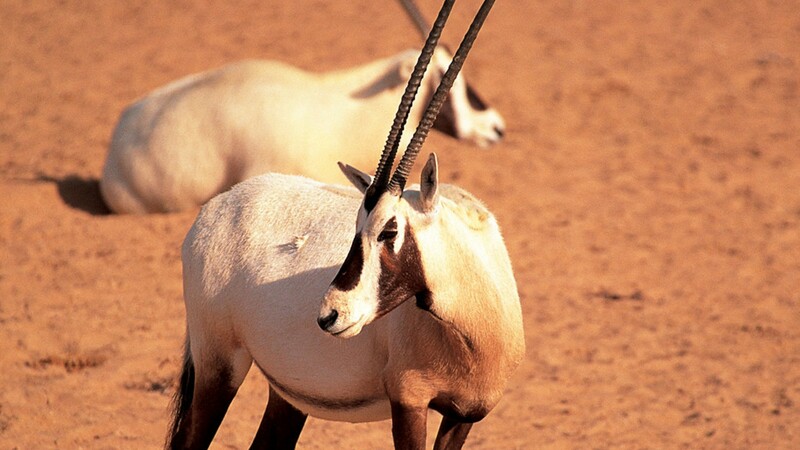 The resort is located a 45 minute drive from Dubai, in the heart of the Dubai Desert Conservation Reserve. 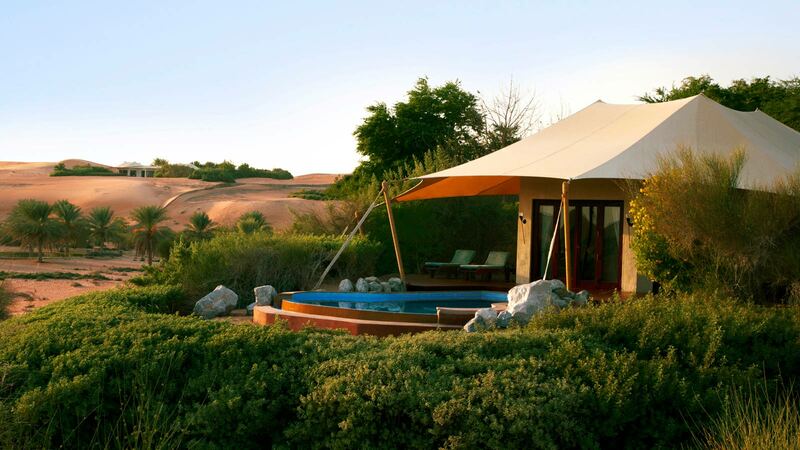 Beautiful views of the sand dunes and the indigenous Arabian wildlife (oryx and gazelles) can be enjoyed from the main resort facilities as well as the temperature-controlled infinity pool or sun deck seating area of all villas. 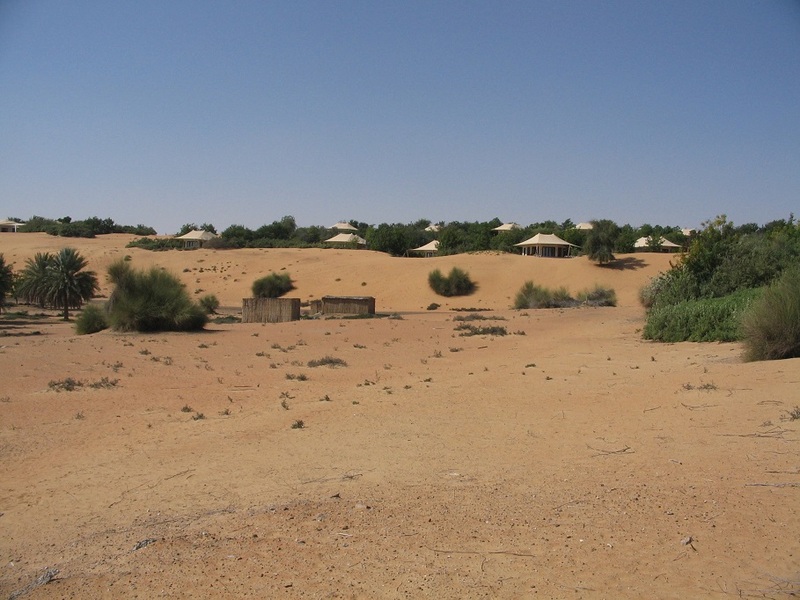 From the resort gates, you need to drive another 3 miles (5 km) through the desert to reach the main building. 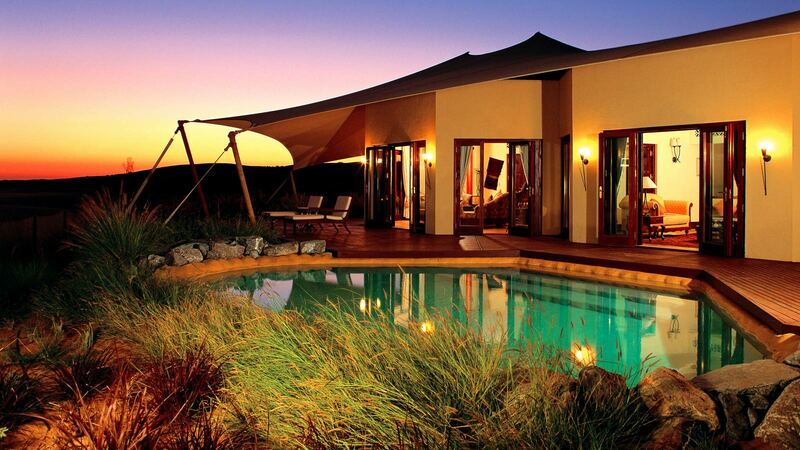 This gives you the feeling that you are really away from everything in a remote location (which is nice). 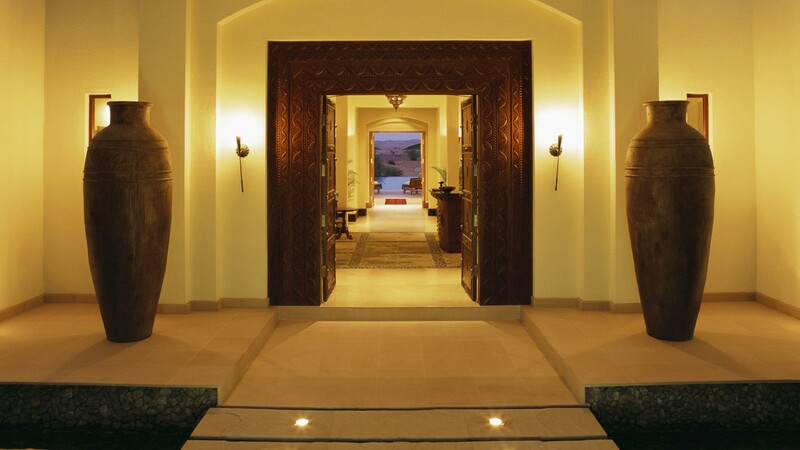 Exuding the warmth and hospitality which are hallmarks of traditional Arabic culture, the well-trained staff will deliver your exact requirements with thoughtful, bespoke and pre-emptive service. 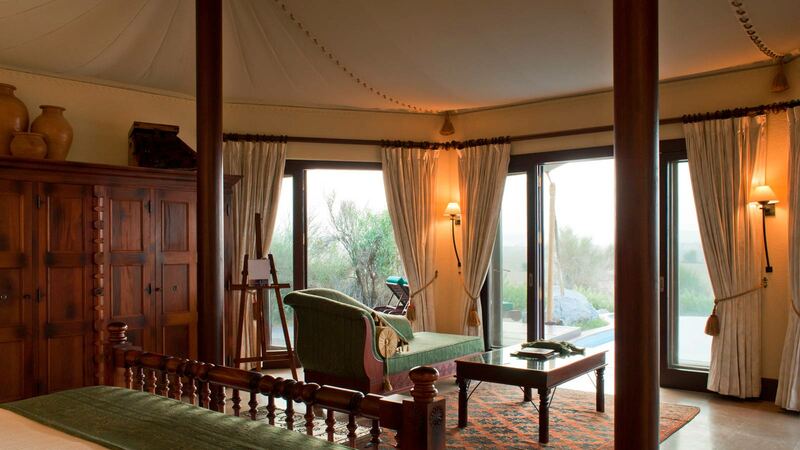 The Bedouin tent-style suites come in 4 categories (Bedouin, Royal, Emirates and Presidential suites), and are all lavishly decorated with authentic and handcrafted Arabian furnishings, antiques and artefacts. Bulgari bath products are present in the bathroom. 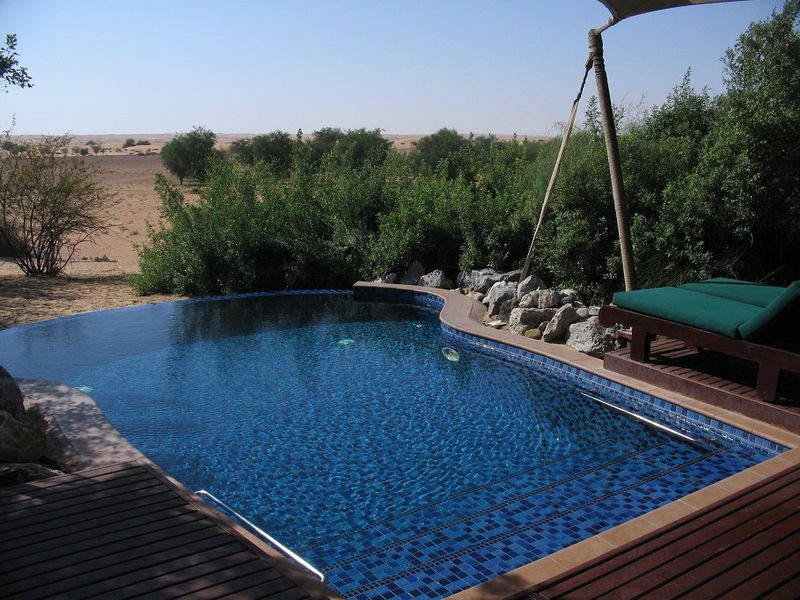 All suites come with their own private chilled pools and offer spectacular views of the Arabian Desert as vast and far as the eye can see. 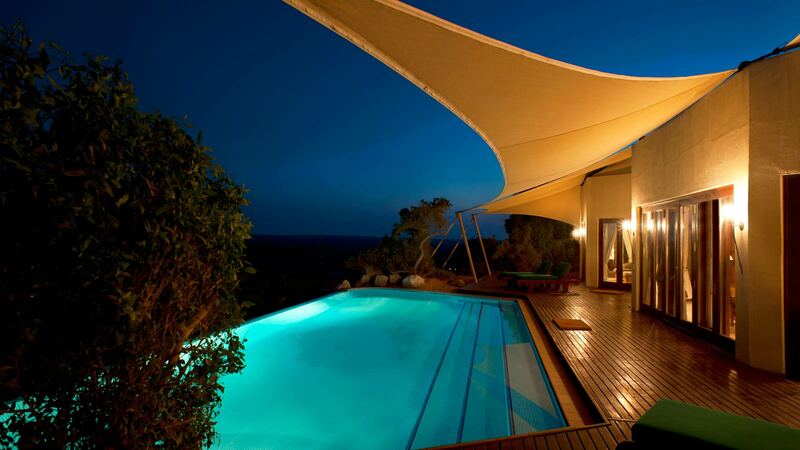 The suites feature on my top 10 list of hotel rooms with the best views in the world. 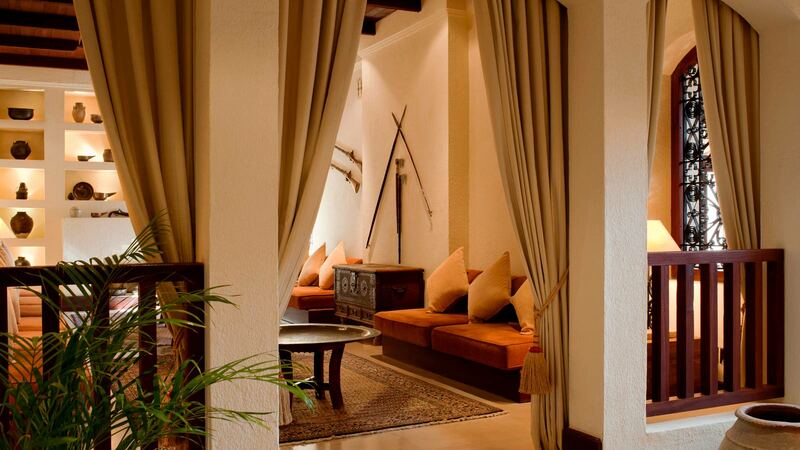 The Timeless Spa is excellent (don’t miss it) and offers beauty and relaxation treatments inspired by Middle Eastern & South East Asian traditions. 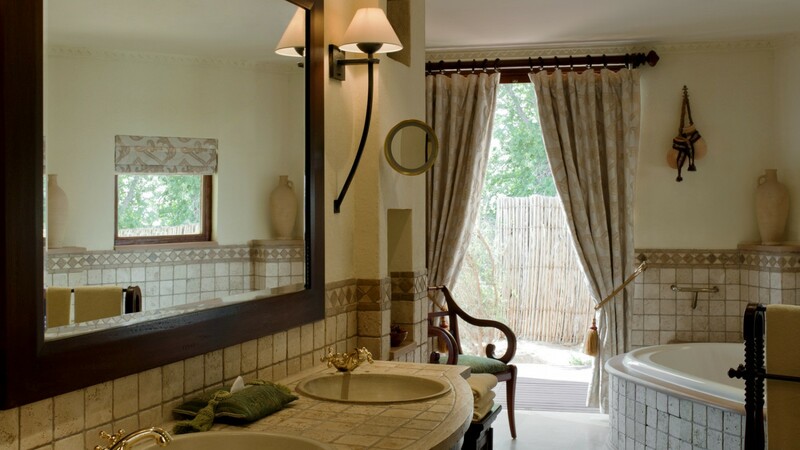 It has private massage rooms for couples, in-suite massage, a private Rasoul chamber, a Hydrotherapy bath, a sauna and steam room including a cold plunge pool, Jacuzzi, swimming pool and a fully equipped fitness centre. 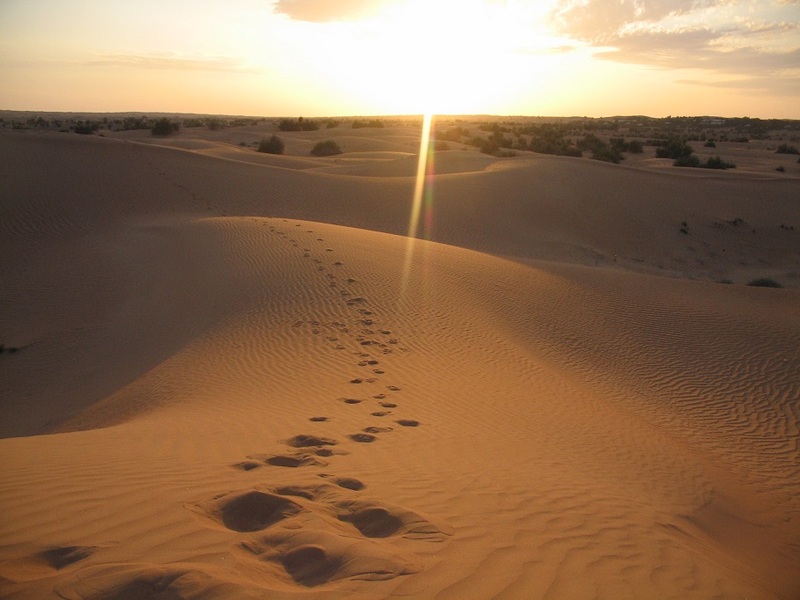 Guests enjoy 2 different complimentary desert activities every day as part of their stay (e.g. 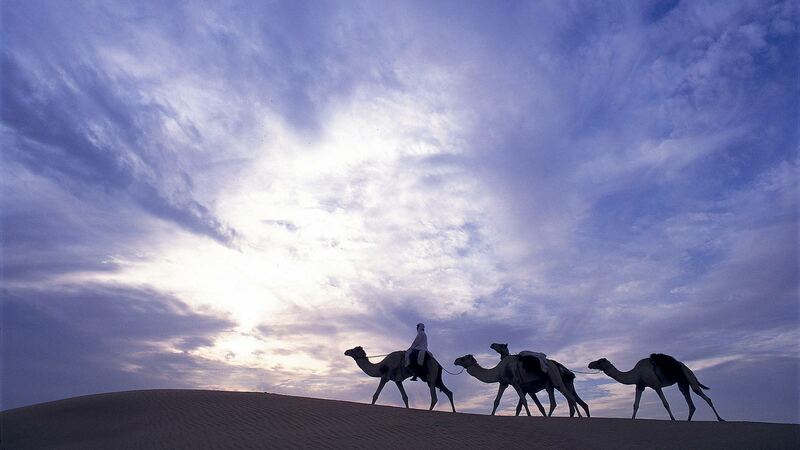 wildlife drives, horse riding, nature walks, desert safaris, camel trekking). 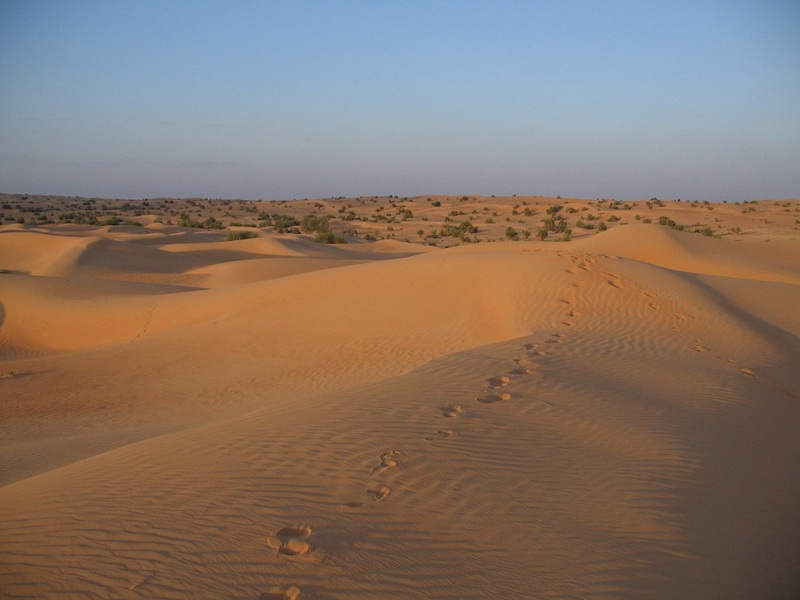 The resort is widespread, but there are buggies to pick you up and drop you off anytime you want to leave your room. 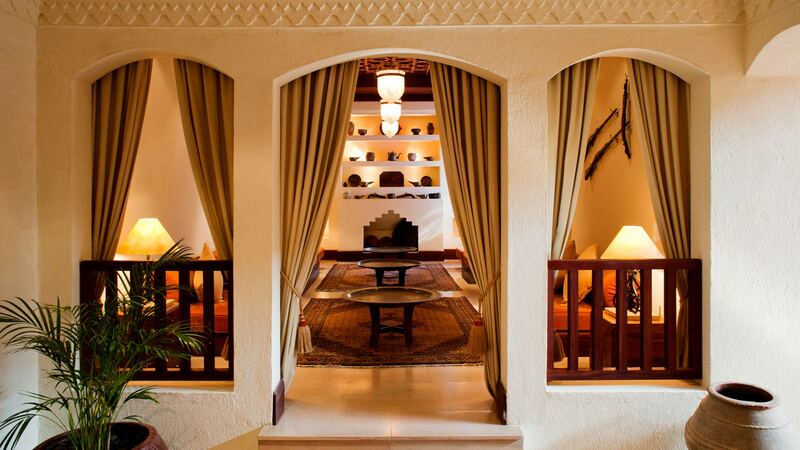 Gastronomy at Al Maha Desort Resort and Spa is an experience to savour and remember. 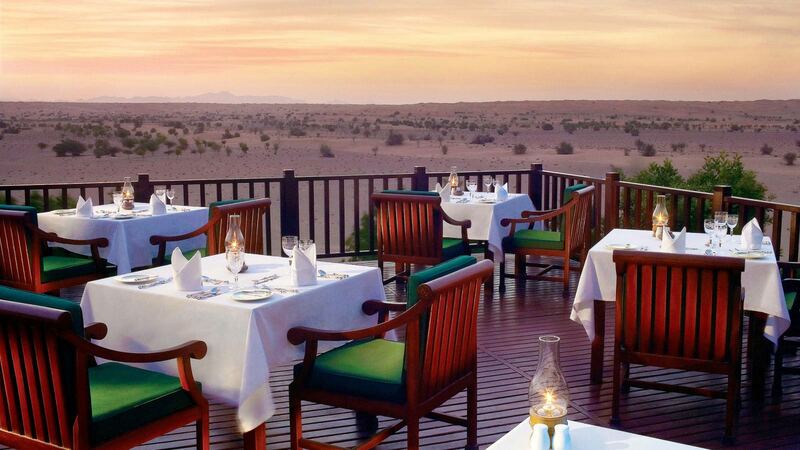 The signature Al Diwaan Organic Fine Dining Restaurant offers alfresco dining on the veranda with breathtaking views of the reserve. 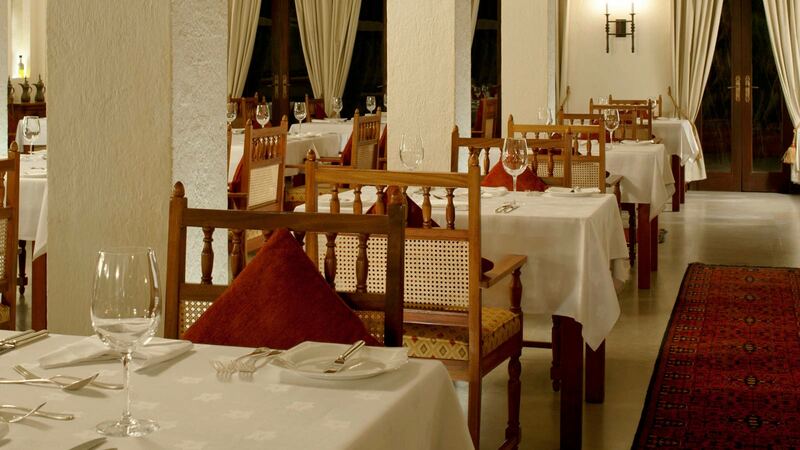 The menus are meticulously prepared and executed by the team of multiple award-winning Executive Chef David Miras. The tiger prawns and wagyu beef are highly recommended as star dishes. 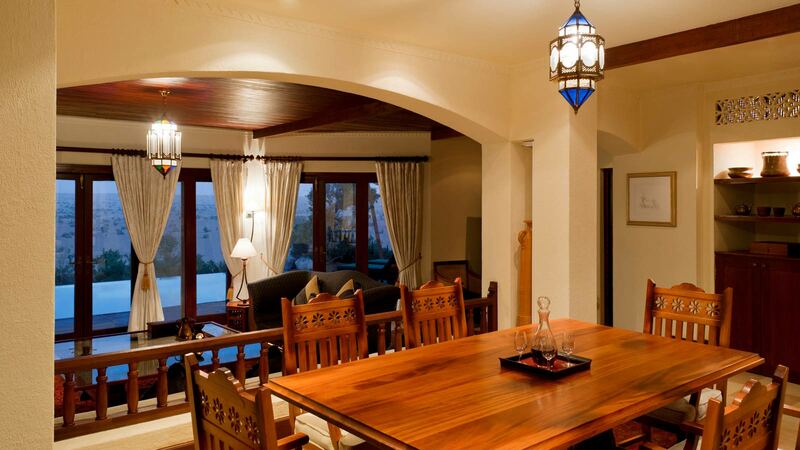 Breakfast and Lunch are also served at the Al Diwaan Restaurant. The buffet spread and menu options are limited, which might be a problem for longer stays (I recommend a stay of no more than 3 or 4 days). 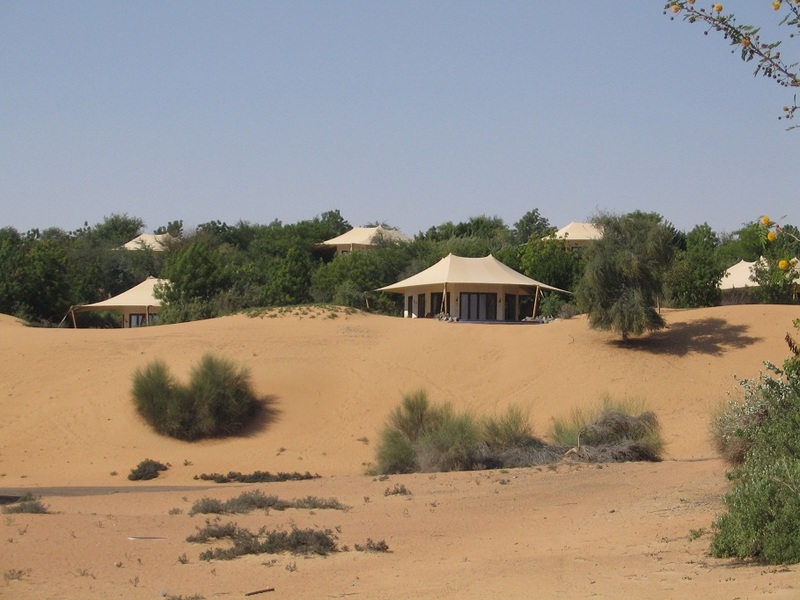 Bear in mind that the dunes surrounding the resort are not very high. 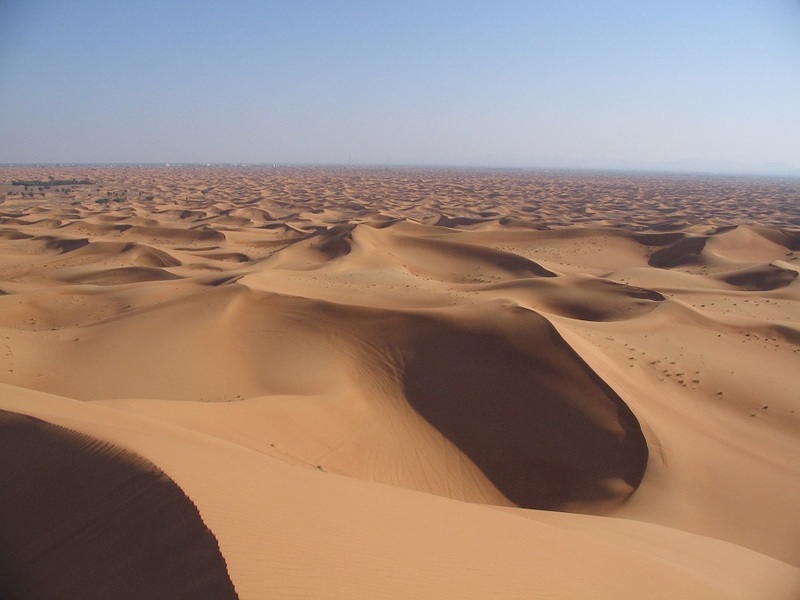 However, if you book the desert excursion with the 4×4 drives, the staff will take you to a part of the desert with much higher dunes (a highly recommended activity). The overall design of the hotel – lobby, spa etc – is showing its age and could use some refurbishment in certain areas. 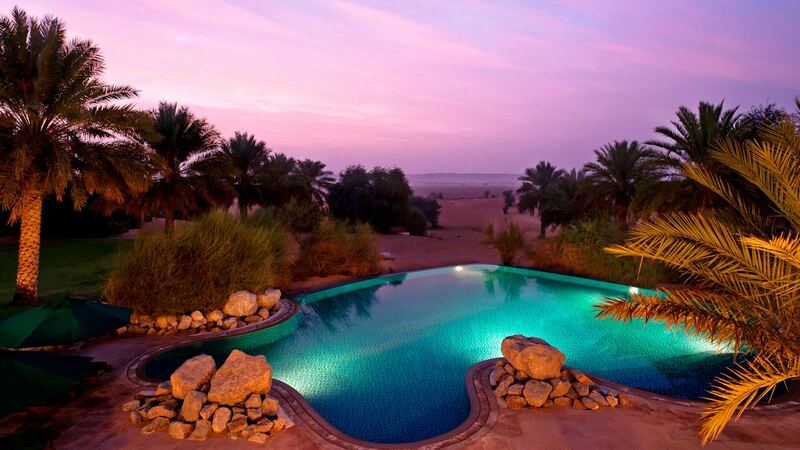 Save money: read my tips for getting the cheapest rate for a suite at a luxury hotel like the Al Maha Desert Resort & Spa (and/or receive many free perks). 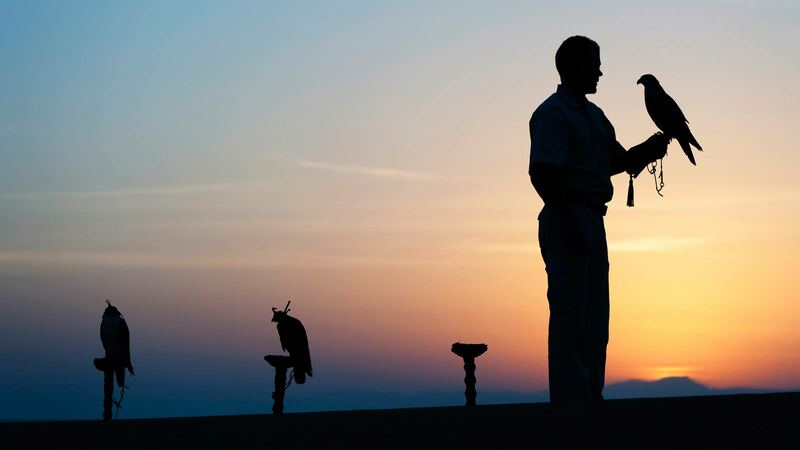 Save money: enjoy free VIP amenities (upgrade, daily breakfast, roundtrip private airport transfers, $45 Spa & $45 food and beverage credit per room, early check-in and late check-out) when you book your stay with Virtuoso. 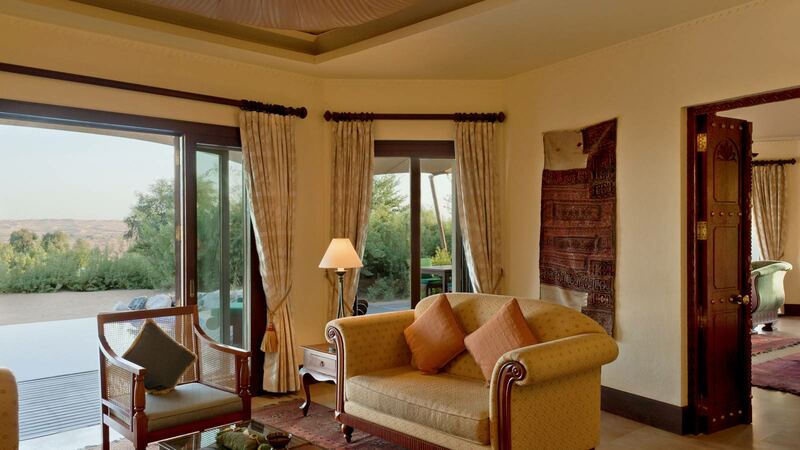 Request a suite with an open, uninterrupted view of the desert (as the view from some suites in partially blocked by the foliage). 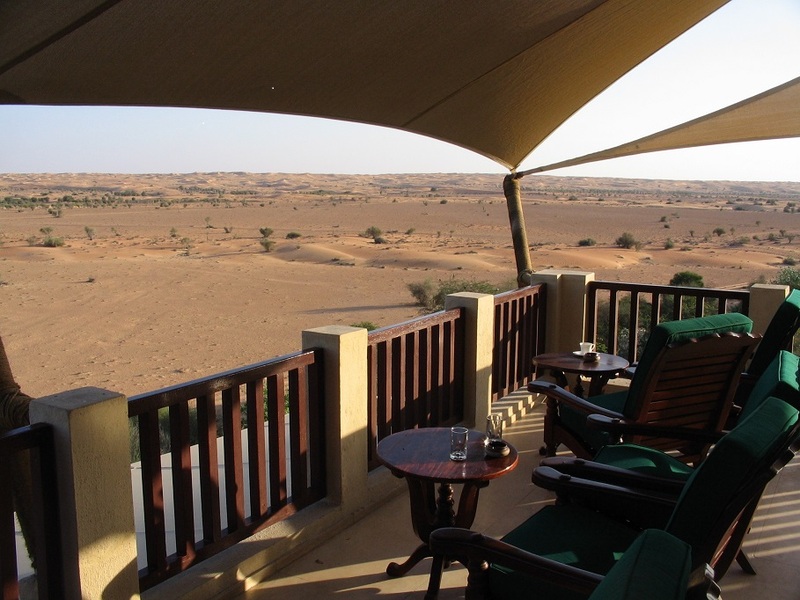 Request a suite overlooking watering holes, where the oryx and deer drink (although they do wander through the complex and you will see them close up anyhow). Starwood Preferred Guests (SPG) with Gold or Platinum status are well treated, with – amongst other benefits – free highspeed WiFi, complementary room upgrade (when available), early check-in or late check-out (when available), and free breakfast (SPG platinum). Click here to read my review of the SPG program (with pros & cons). High season, November to April, offers balmy temperatures and mostly sunny days. This is the best time to spend a couple of days at the resort and exercise outdoor activities or simply relax near your own pool. May to September can be uncomfortably hot, but if you can tolerate the heat and humidity, you can save hundreds of dollars as this is low season. 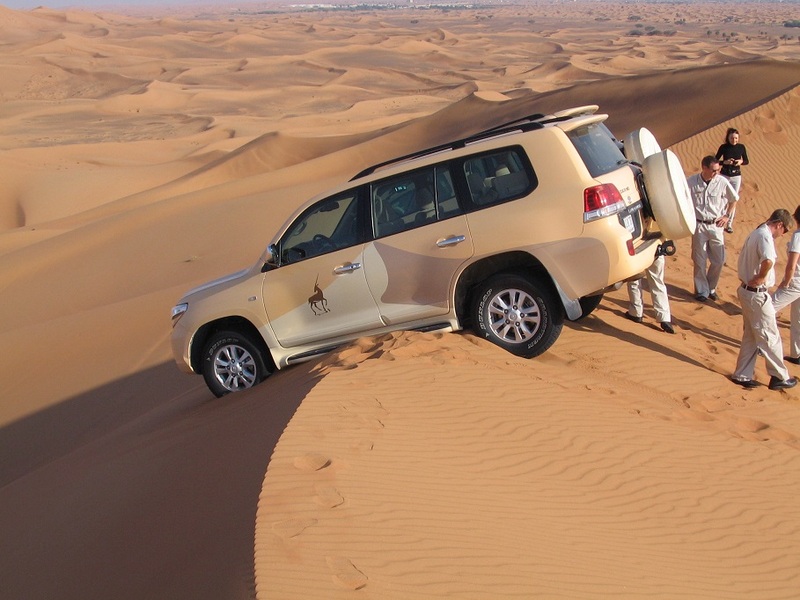 Al Maha Desert Resort & Spa is located a 45-minute drive from Dubai and its International Airport (DXB), which is served by most major airlines. Check the Wikipedia page of Dubai International Airport for an updated list with airlines that serve the airport. 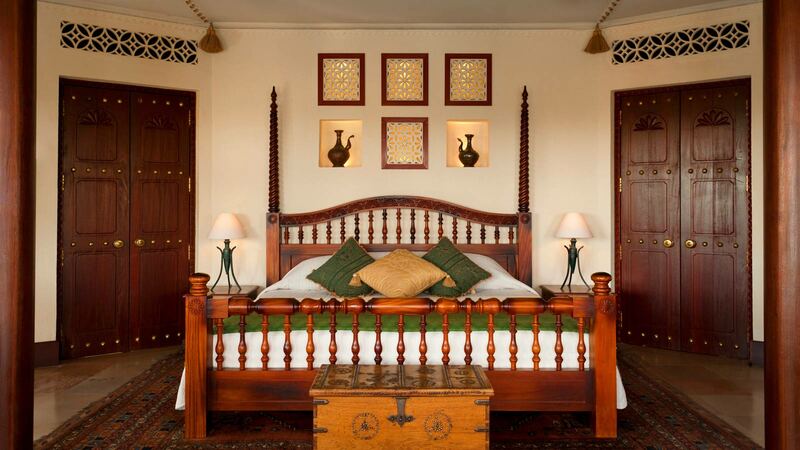 Luxury Resort and best facility provide in this resort| Comfortable resort.